. Part of that experimentation is having evaluators—people who assess the quality of Google’s search results—give us feedback on our experiments. Ratings from evaluators do not determine individual site rankings, but are used help us understand our experiments. The evaluators base their ratings on guidelines we give them; the guidelines reflect what Google thinks search users want. In 2013, we published our human rating guidelines to provide transparency on how Google works and to help webmasters understand what Google looks for in web pages. Since that time, a lot has changed: notably, more people have smartphones than ever before and more searches are done on mobile devices today than on computers. We often make changes to the guidelines as our understanding of what users wants evolves, but we haven’t shared an update publicly since then. However, we recently completed a major revision of our rater guidelines to adapt to this mobile world, recognizing that people use search differently when they carry internet-connected devices with them all the time. You can find that update here (PDF). This is not the final version of our rater guidelines. The guidelines will continue to evolve as search, and how people use it, changes. We won’t be updating the public document with every change, but we will try to publish big changes to the guidelines periodically. We expect our phones and other devices to do a lot, and we want Google to continue giving users the answers they're looking for—fast! Developing algorithmic changes to search involves a process of experimentation. Part of that experimentation is having evaluators—people who assess the quality of Google’s search results—give us feedback on our experiments. Ratings from evaluators do not determine individual site rankings, but are used help us understand our experiments. The evaluators base their ratings on guidelines we give them; the guidelines reflect what Google thinks search users want. TC Summit 2015: Celebrating our Webmaster Top Contributors! ), in San Francisco and on Google’s campus in Mountain View, California. Google Top Contributors are an exceptional group of passionate Google product enthusiasts who share their expertise across our international help forums to support millions of Google users every year. Google’s Top Contributor Summit is an event organised every two years, to celebrate these amazing users. This year we had the pleasure to welcome 526 Top Contributors, from all around the world. Under the motto “Learn, Connect, Celebrate”, Top Contributors had the chance to learn more about our products, get insights on the future of Google, connect with Googlers and Top Contributors from various products and, finally, to celebrate their positive impact on our products and users. We also had the chance to hold Webmaster-specific sessions, which gave Googlers the unique opportunity to meet 56 of our Webmaster Top Contributors, representing 20 countries and speaking 14 different languages. Throughout the day, we had in-depth sessions about Google Webmaster guidelines, Search Console and Google Search. We discussed the most common issues that users are bringing up in our international webmaster forums, and listened to the Top Contributors’ feedback regarding our Search tools. We also talked about the Top Contributor program itself and additional opportunities for our users to benefit from both Google and the TCs’ support. Product managers, engineers and search quality Googlers attended the sessions to listen and bring the feedback given by Top Contributors and users on the forum back to their teams. 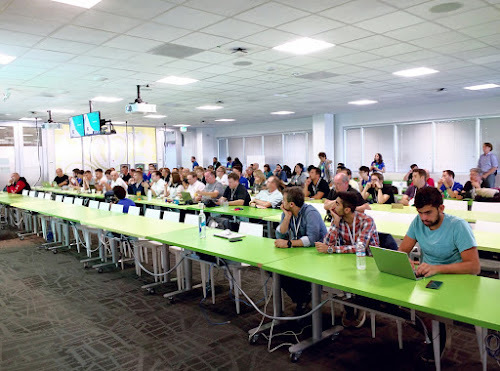 At Google, we are grateful to have the incredible opportunity to meet and connect with some of the most insightful members of the webmaster community and get their feedback on such important topics. It helps us be sure that Google keeps focusing on what really matters to webmasters, content creators, and users. To learn more about our Top Contributor Program, or to give us your own feedback, visit our Top Contributor homepage or join our Webmaster help forum. 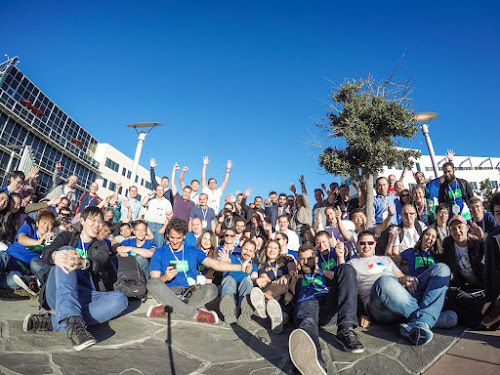 Two weeks ago, we were extremely lucky to host the 2015 edition of the Top Contributor Summit (#TCsummit), in San Francisco and on Google’s campus in Mountain View, California.